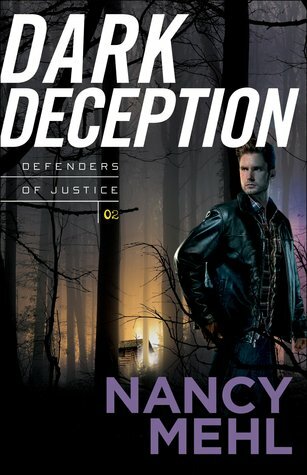 "Dark Deception," by Nancy Mehl, is the second book in her Defenders of Justice series and it is a fast-paced read from start to finish. Kate has been in the witness protection program ever since she and her twin sister were attacked and her sister was killed. All of a sudden, it seems as if the wrong person was convicted and Kate has to testify. However, Kate is not willing to revisit this part of her life and only agrees when Tony is assigned to protect her. Kate is living a content life, under a new name, a new identity, everything and this is unsettling. Yet, it is what must be done. However, the protection is seemingly not enough for Kate or others as it seems as if the serial killer is still on the loose. I really enjoyed this book. It is really well written and I loved the storyline and the mix of romance and suspense. Kate is a strong character who was easy to love and empathize with throughout the book as was Tony. If you missed book #1 in this series, "Fatal Frost," be sure to read that as well! Great series and I am eager to read more! Gage is the main character of Susan May Warren's "A Matter of Trust," as he is another member of the PEAK Rescue Team whom we have met in the previous Montana Rescue novels, but really have not known much about. This all changes as the reader learns about Gage's past as a snowboarder and what has lead him to this stage in his life to be a part of this team. Gage finds himself facing his past and regrets he has been struggling with when Ella reenters his life. Ella has followed her brother out to Montana to try and stop him from throwing his life away and from possibly doing a life-threatening, dangerous run down a mountain. However, Ella is the one who cost Gage his career and she and Gage both have been struggling with this ever since. 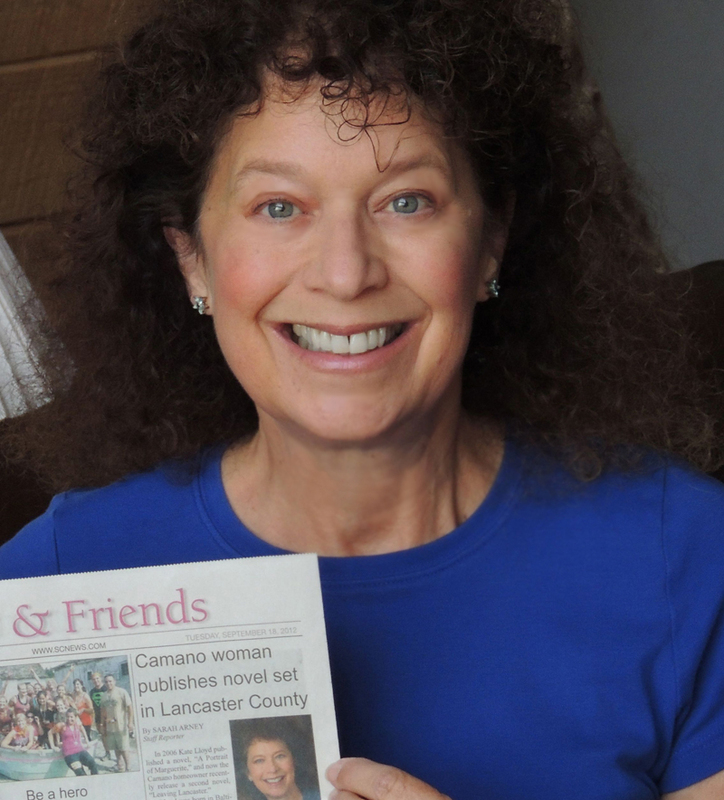 Susan always does an amazing job with engaging the reader; the storylines are well-paced and the characters are so easy to relate to and enjoyable to spend time with. I have enjoyed this series so much and getting to know each of the team members, but also still "keeping in touch" with the ones whom have been the focus of the previous novels as well! I highly recommend this book and series. It is a great mixture of adventure, suspense, romance and drama! "Over Maya Dead Body," Sandra Orchard, brings FSI Special Agent Serena Jones right back into danger and in the midst of an antiquities smuggling ring. Serena is expecting a nice relaxing vacation on Martha's Vineyard with her family to celebrate Uncle Jack's engagement. However, when they arrive to his home, there is a police cruiser out front and they are informed that he is dead. Immediately, this vacation goes from relaxing to a working trip. Then things become even more complicated when some other individuals arrive to complicate Serena's personal life, while at the same time she is trying to solve this case before anyone else is found dead. I always enjoy these books featuring Serena Jones as they are entertaining and have suspense tied in as well. The characters are so quirky and the cases and situations are interesting to say the least! I love how Sandra writes and the interactions among the characters especially Serena trying to handle her mother's comments and her aunt's zaniness, all mixing together to create family gatherings similar to ones that we all have as well. This is a fun read and one that will keep you turning the pages to the end! "On Love's Gentle Shore," is the last book in Liz Johnson's Prince Edward Island Dreams series and it is another wonderful story. Seriously, I am so sad to see this series end, but cannot wait to read what Liz writes next! Natalie has never planned to return to her hometown, but that all changes when her fiancé arranges for her wedding to be there and books the Red Door Inn for the guests. Marie and Seth are new to the town, and they do not know Natalie, but everyone else does and her childhood. Also, there on the Island is Justin, who has never forgotten Natalie and his heart has seemingly not forgotten her either. When there's a sudden change in plans and Natalie is forced to work closely with Justin to help ready for her upcoming wedding, her heart may be in for a change as well as well as moving on from her past. I absolutely loved this book! Liz Johnson won me over with this series, and has become a must-read author for me. I love how this area just came to life for me, it sounds amazing and I felt as if I was a guest at the Red Door Inn and a friend with Aretha Franklin (no relation to the singer). The characters are all so easy to love and enjoyable to read about in each book as well as meeting new ones. The romance is woven into the storyline with the characters having to work through issues in their lives and issues from the past making them completely believable and inspiring. I highly recommend this book and this entire series, be sure to start with book #1! 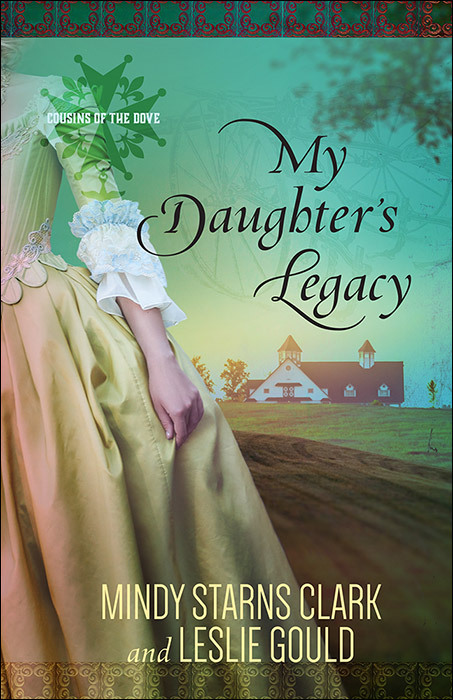 "My Daughter's Legacy" is the third book in the Cousins of the Dove series and the authors have once again done an incredible job of intertwining two storylines and two characters' lives together. One part is set in the Civil War era while the other is present day. Therese does not believe in the Southern mindset of slavery, and sets out to live her life following her beliefs. Nicole is a recovering addict and is back home and ready to share something that she has been holding onto, but she is not prepared for what else comes to light. As each of these women struggle to overcome issues in their lives and follow their own hearts and beliefs, other twists and turns are tied in resulting in a suspenseful and satisfying read. Leslie and Mindy prove that they are a great team as this has been a great series and I love how the two storylines are tied together. At first, I was unsure how they were both going to meld together, but they do. Both women are strong characters and easy to connect with. I love the suspense tied in along with the family drama and personal issues. 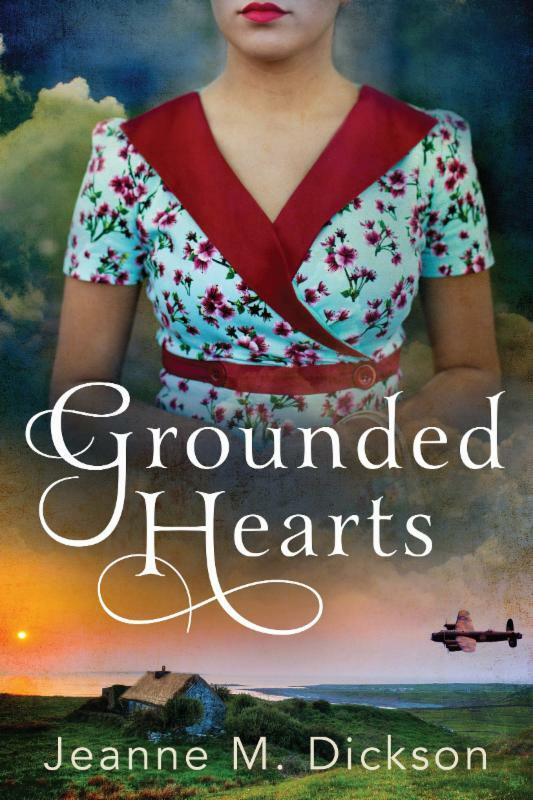 I love reading historical fiction books set during the World War II and "Grounded Hearts" was a perfect read for me! 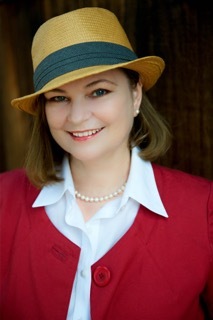 Jeanne set the scene and tied in so many historical details into the storyline. Nan is a midwife, so she is used to helping people and when Dutch shows up at her door she cannot turn him away even though it is such a huge risk for her to take. Nan shows her strength and faith during this time of unrest, but her heart is still guarded and she is not quite ready to open her heart and reveal secrets that she is still holding tight to. I really enjoyed this book. I was immediately swept into the story and into the lives of Nan and Dutch. Each of them were well-developed characters and their personalities really shone through making them easy to like and empathize with. I highly recommend this book for anyone who enjoys historical fiction and historical romance. 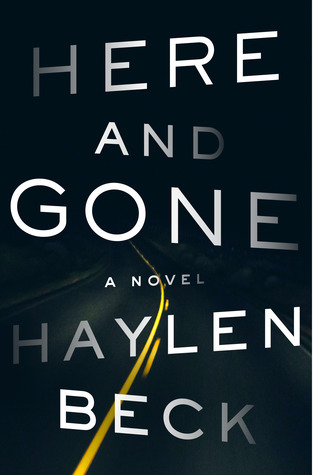 "Here and Gone" is the latest suspense rea d from Haylen Beck and it is one that will keep you reading late into the night, anxiously turning the pages. 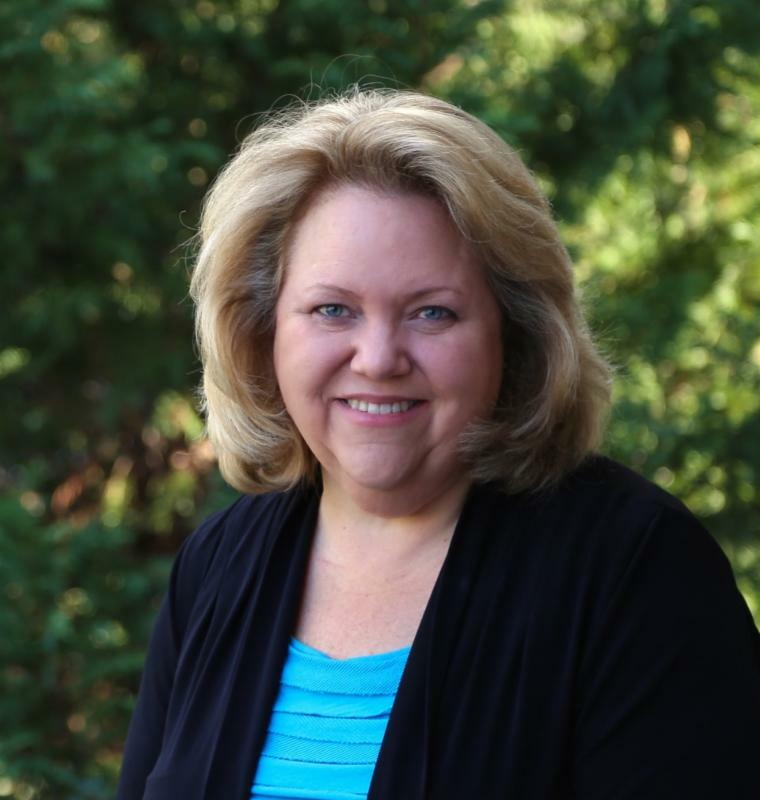 Audra does the only thing she can think of to do, and that is to head across country with her two children and their belongings packed into her car when she is faced with the fear of Child Protective Services taking her children and granting custody to her abusive ex-husband. The ex-husband who viewed his wife and children as merely possessions of his and kept them under his control by being an enabler and keeping her drugged and drunk while they were together. Audra has been on the road for four days and she has been traveling back roads hoping to avoid police officers and bring attention to herself. However, her luck runs out when she encounters a local sheriff in a run-down area in Arizona who pulls her over for her car being weighted down. This leads to a downward spiral of events which results in the two children leaving in the back of one patrol car and everyone being reassured that they will be fine and they are going somewhere safe and Audra being transported to the jail. Audra is cooperative and she is settled in the cell, she asks the sheriff where her children are and the response is "What children?" 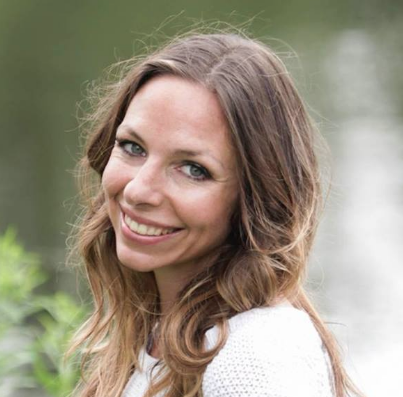 The media goes into a frenzy when videos are leaked and a story is being shared around the country of this mother with a past who was pulled over and her children are missing, and it is being portrayed that Audra has harmed them. Of course, Audra's ex-husband and his mother are seeing this, but also Danny sees this. Danny who had this same thing happen to his wife and daughter five years earlier and he is determined that the same ending is not going to happen for Audra, Sean and Louise. I really enjoyed this book! The suspense kept me reading as I had to find out what was going to happen! I loved how the story was told from various characters' points of view, but also the back story of Audra's life was intermingled as well. Audra became so real to me as did the other characters and I really empathized with her. However, I really loved some of the minor characters and the roles they played in the story and in Audra's life as well. Jacinta, Agent Mitchell, Sister Hannah, and Mrs. Gerber were all characters whom I absolutely loved in the story. This is such a fast-paced read and I absolutely loved it, but was sad to see it end. I liked the ending, but I wanted more, I wanted to know more of what happened next with the characters. Also, as a side note there is language in this book just to make the reader aware of this fact ahead of time. 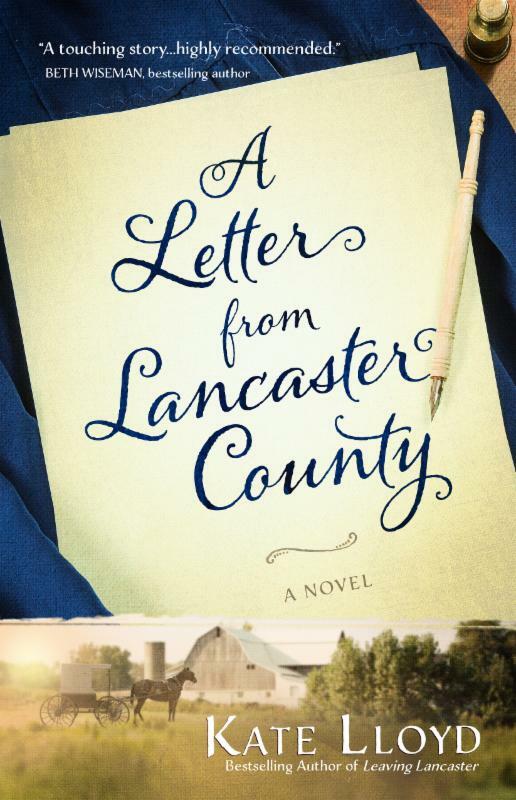 "A Letter from Lancaster County" is such a great read that addresses families, relationships among siblings, marriages, all kinds of relationships and how they can impact how we feel about ourselves and the ability to overcome past hurts and maintain relationships with family members throughout the years. Angela and Rose are sisters, sisters whom are living different lives and each dealing with their own set of issues and problems in their lives. Also, there has always been sibling rivalry between them and a rift in their relationship. A letter arrives from their Aunt and they both travel to Lancaster to visit her. However, this visit is not all sweet and a time of healing as hoped, as secrets come to light and the tension continues to build. Kate has written a story that so many readers will be able to relate to as there are always divisions and feelings of inequality and rivalry in families, even if sometimes they are hidden and they are just a personal struggle, while other families may be estranged. This is a beautiful story of hope and forgiveness, yet it is not just all sweet and things are smooth sailing, so it is realistic and just overall a great book to read. When motherhood gets real and overwhelming, what do you do? Oh my goodness, I loved this book! It was hilarious and just so real! I found myself laughing out loud at different times throughout the book and at other times relieved that I am not the only one who has had moments of feeling that way. Jessica shares her stories of shopping with kids glued to your sides and trying to keep them reeled in while trying on bathing suits, shoes, cloths. How about playdates that feel never ending, play-doh being stuck to everything, the struggle of packing lunches day after day, and the school projects and assignments that feel like the mother is back in school as well considering it takes so much time and involvement. In all seriousness, motherhood is so rewarding and kids truly are a blessing, but it is hard to feel this way when you are completely exhausted and feeling like you just want to sit down and cry when a project is failing and kids are screaming. 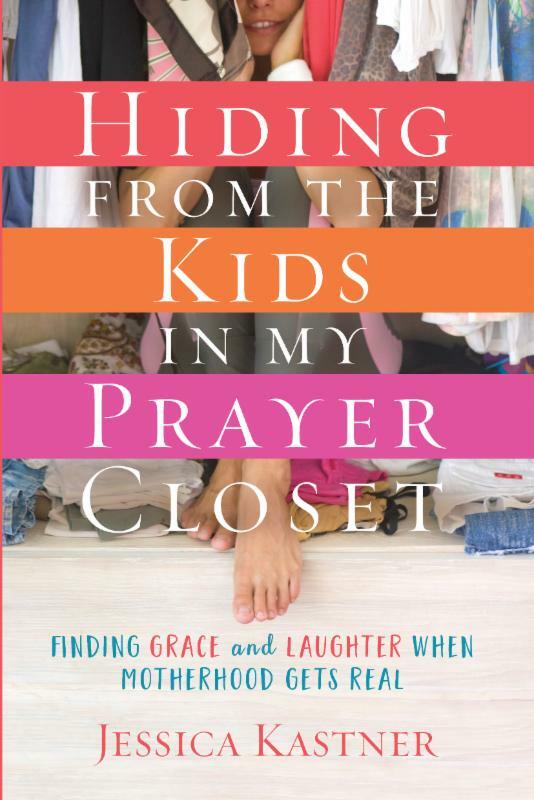 "Hiding from the Kids in my Prayer Closet" is a must-read for mothers as this will truly help you to not feel as alone in the mothering gig and finding grace in the hard times. Will Mark be able to find the attacker before Neeta becomes his next victim? 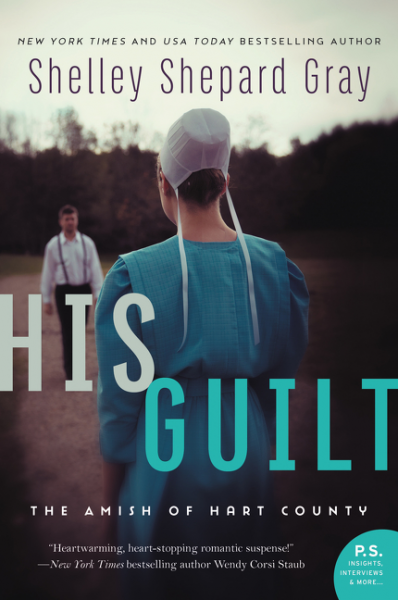 "His Guilt" is the second book in Shelley Shepard Gray's The Amish of Hart County series. 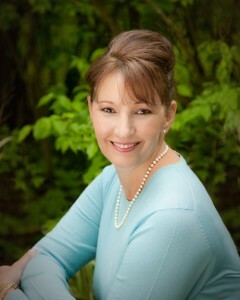 Shelley does an amazing job of weaving together suspense, drama and romance. Mark has returned home after being gone for two years; however people have not forgotten what he was falsely accused of and apparently they believe the accusations are true. Mark has a good heart and he will help others even if it means that he will be treated badly by others. Neeta does not believe the accusations about Mark; however she is not sure of the feelings she experiences when she is around him and is not sure she can trust her heart. This is a great book, and it is a quick read as I felt as if I was waiting to see what happened next as far as the attacks, but also what was going to happen next between the characters' and the relationships that were developing between them. 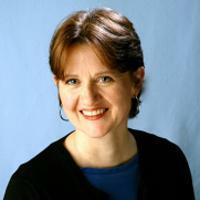 Shelley writes such original stories and storylines and creates characters whom are easy to love and empathize with. I highly recommend this book, but encourage you to read book #1 first in the series, "Her Secret." A perfect family book to read!